This work is one of the most popular orchestral works of the 18th century. 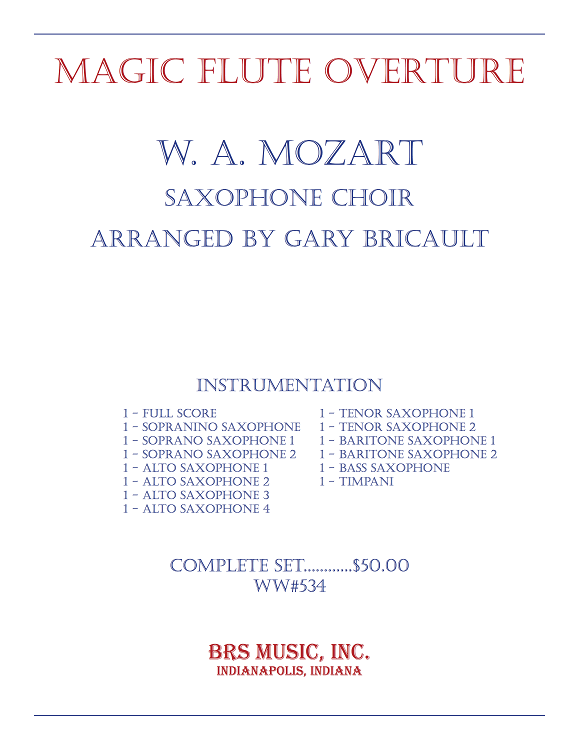 Although fully Mozart, it does not have the endless technical string passages, thus making it adaptable for the saxophone ensemble. Full of energy and color, the Overture will excite both the musicians and the audience. Instrumentation is sopranino sax, 2 soprano sax, 4 alto sax, 2 tenor sax, 2 baritone sax, bass sax, and timpani. Arranged by Gary Bricault.